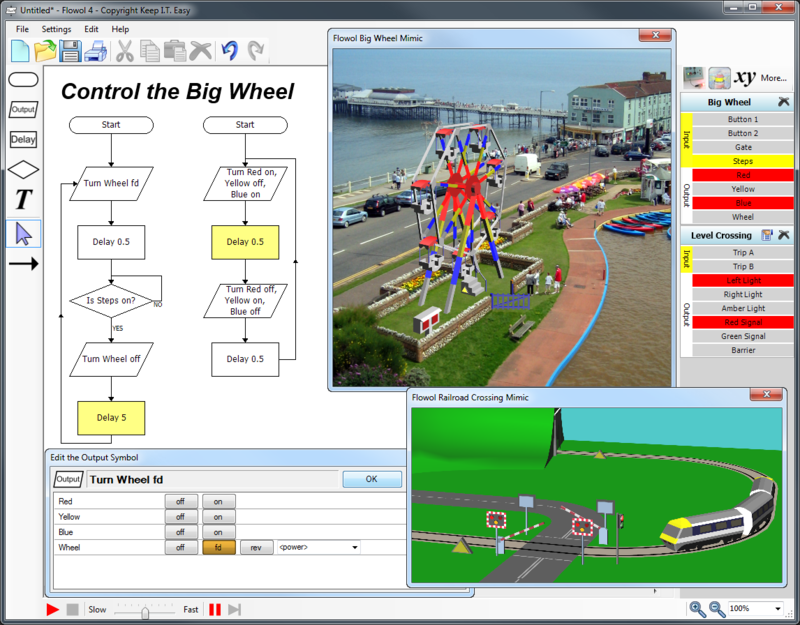 Single-User license of the Flowol 4 control/robotics software for Windows PC and Apple Mac. Includes 15 mimics and support for the latest control/robotics hardware. Flowol 4 allows students of all ages to develop logical reasoning and problem solving talents, develop programming skills and explore the world of automatic, autonomous systems and robots. Programming visually with a flowchart allows the student to focus on the logic of their solution rather than the syntax of a written program. 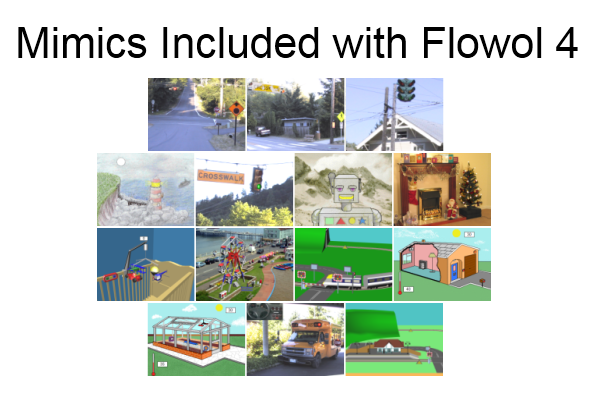 Flowol 4 includes 15 mimics (on-screen simulations) which enable students and enthusiasts to learn how the flowchart works to control a progressive set of control systems scenarios. Five of the mimics include 3D animated graphics. The 100 page Flowol 4 tutorial includes an activity page for each mimic. 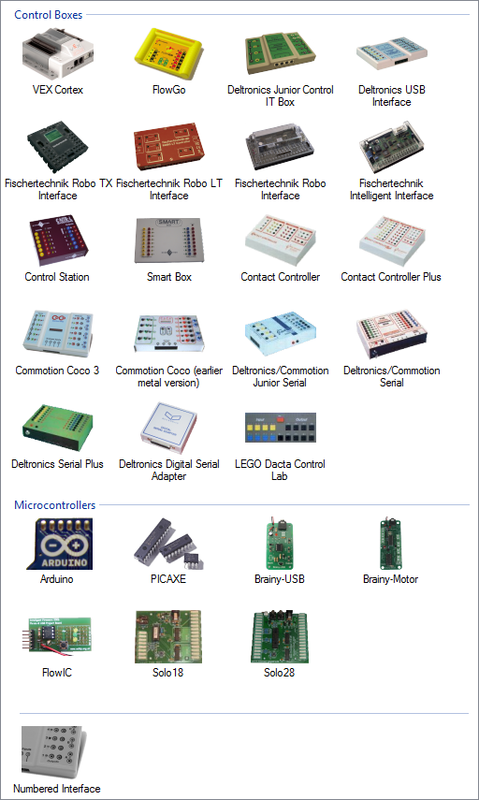 Flowol 4 can connect to and control a variety of controllers including all of the hardware available through Robot Mesh! For more information, please see the Flowol 4 Product Page. Flowol 4 includes an MSI for installation on networks.